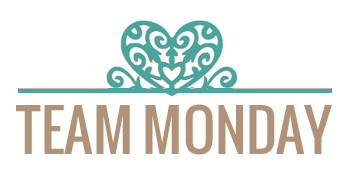 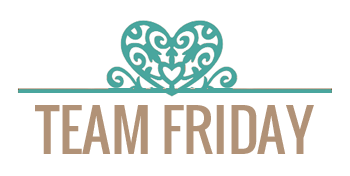 Hi, it's Sandie here and today I am sharing how to make a Foldover Box. 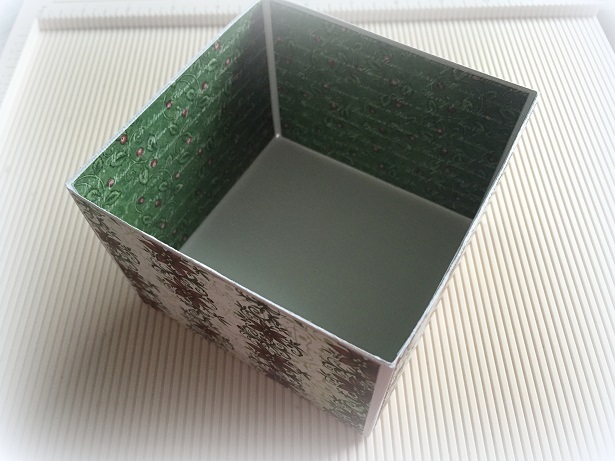 The box cover is quite large , at 6" x 6", and you alter the size of the internal box to make it bigger if you need to - the one I've made is 4" x 4". 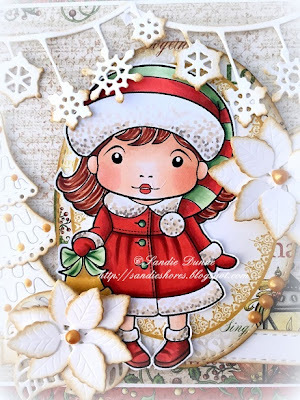 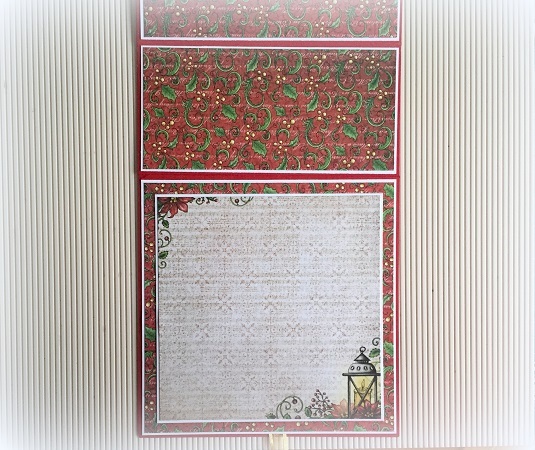 Dies: Snowflake Banner, Stitched Elements, Pretty Poinsettia, Open Leaf Flourish, Build-a-Christmas Tree. 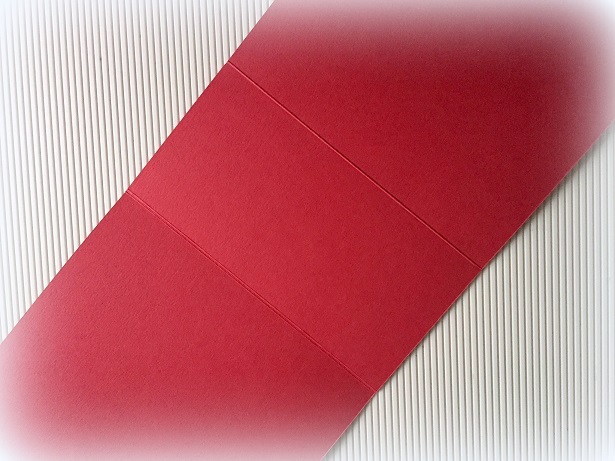 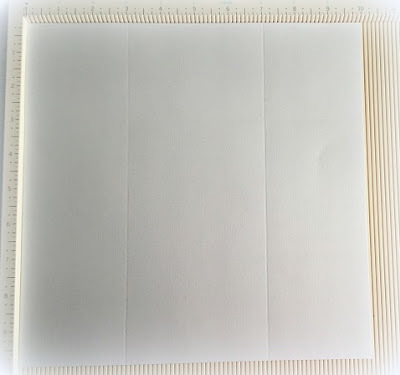 2 pieces red card cut to 6" x 9"
1 piece white card cut to 10" x 10"
4 pieces of white cut to 5 7/8" x 5 7/8"
2 pieces white cut to 5 7/8" x 2 7/8"
4 pieces cut to 5.75"" x 5.75"
2 cut to 5.75" x 2.75"
1 cut to 4" x 4"
8 cut to 3 7/8" x 2 7/8"
Score both 6" x 9" pieces of cardstock at 3" along the long side. Fold on the score lines and crease with a bone folder. 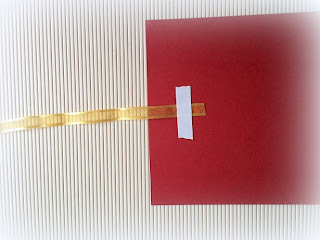 Adhere the 2 pieces of cardstock together with the 3" scored sections overlapping. 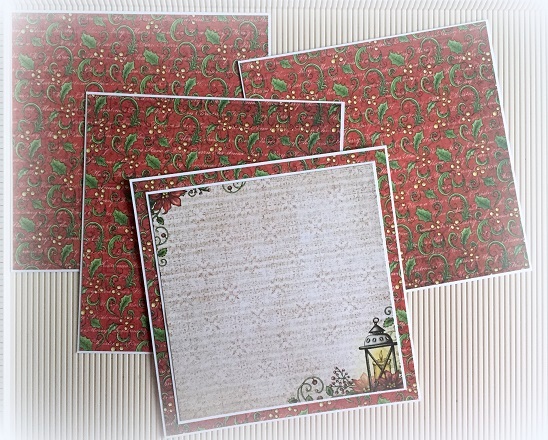 Taking the four 5 7/8" square pieces adhere the 5/75" square patterned paper on top. 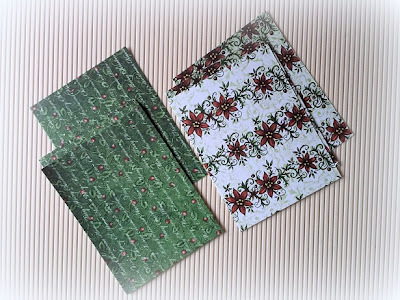 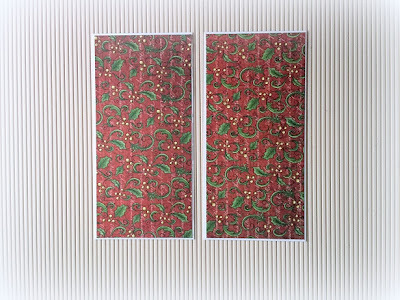 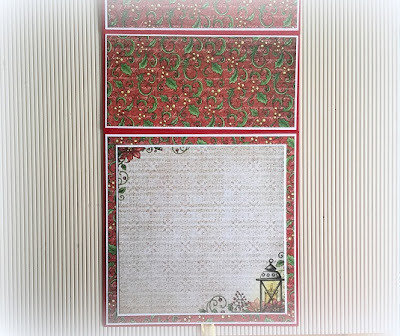 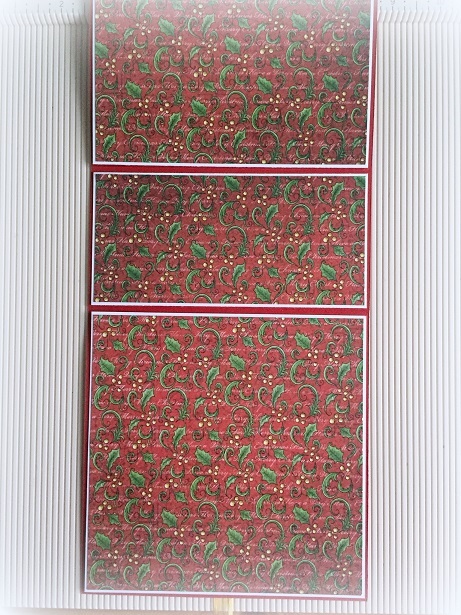 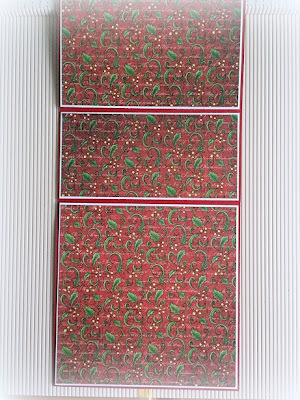 Adhere the two pieces of 5.75" x 2.75" patterned paper to the 5 7/8" x 2 7/8" white card pieces. 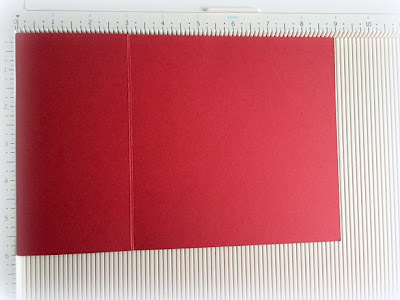 Adhere each length to the center of each end of the red card. 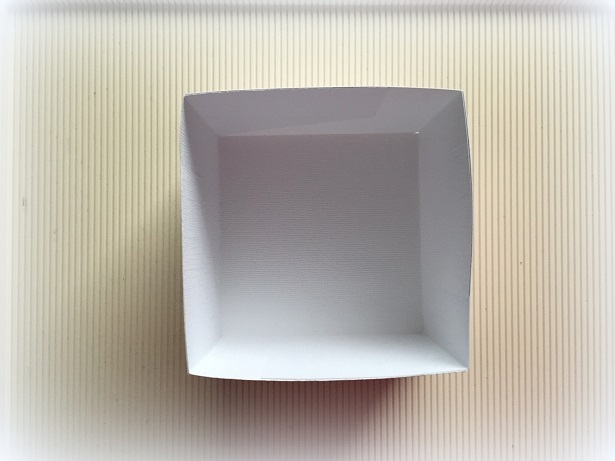 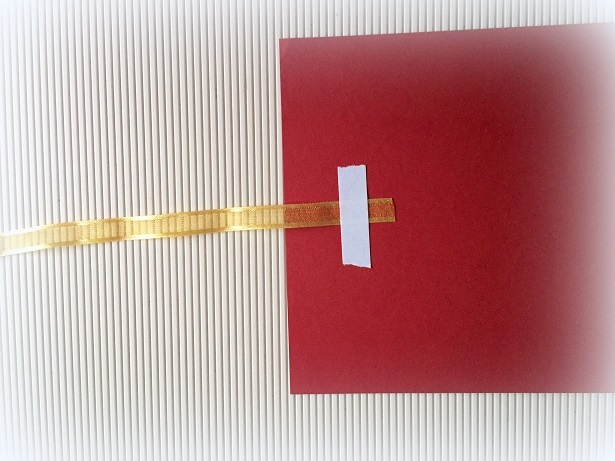 Cut into the corners of the white card to create tabs to form a box. 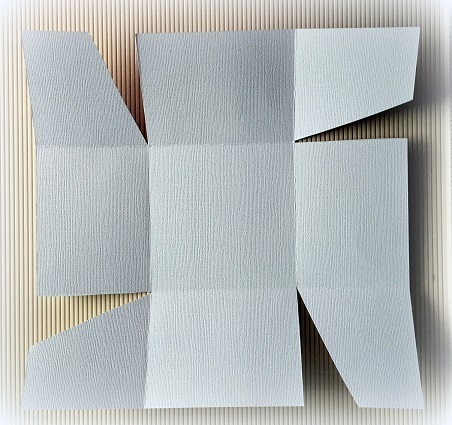 Fold the tabs inwards and adhere with strong glue. Taking the eight pieces of patterned paper, adhere four to the inside and four to the outside of the box. 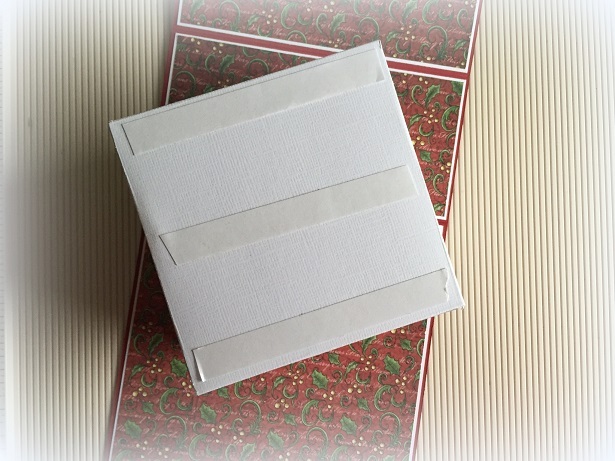 Apply adhesive to the the bottom of the box and centre it the bottom of the outer card base. This completes the box. 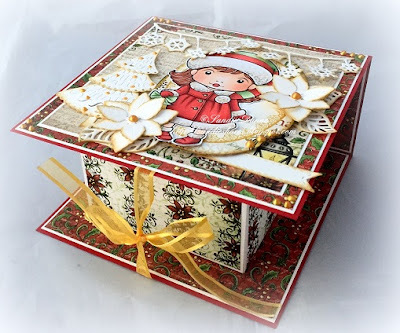 Embellish the top of the box as desired.